With the existence of iPhone, iPad, and other iOS devices, Apple allows users to communicate via text messages. You can send or receive important text messages from a friend. This text messages could be so important that you decide to create a backup of it in iCloud. They could be text from friends, families or business texts from colleagues at work. However Apple doesn't allow you to retrieve text messages from iCloud directly for instance. To be able to retrieve this text messages from iCloud, you will an iCloud backup extractor. In this article, we have explained how you can retrieve text messages from iCloud. Read through to get the best way on how to do it. In times when Apple does not allow you to access text messages in iCloud, you can think of an iCloud backup extractor like iMyfone D-Back. With iMyfone D-Back iCloud data extractor you can retrieve text messages from iCloud. 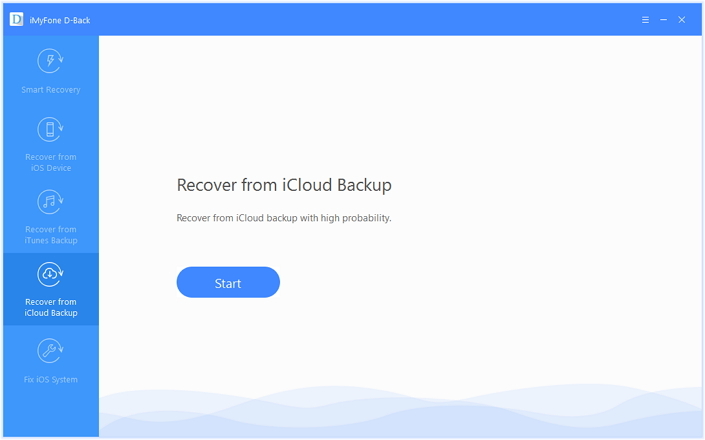 It retrieves data with 4 recovery modes, which are; Smart Recovery, Recover from iOS Device, Recover from iTunes backup and lastly recover from iCloud backup. It supports almost all iOS devices like iPhone 4, iPhone 4s, iPhone 5, iPhone 5s, iPhone 5c, iPhone 6, iPhone 6s, iPhone 6 plus, iPhone 6s plus, iPhone SE, iPod touch 4, iPod touch 5, iPad mini and more. 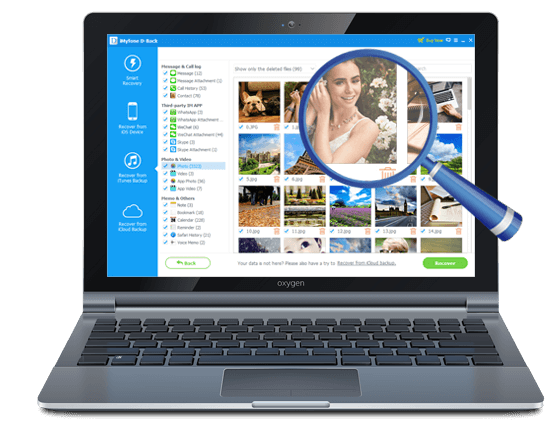 It is capable of retrieving 22+ file types including text messages, Skype History, WeChat, iMessage, WeChat attachment, Safari History, Call history, Voice Memo etc. It can effectively fix your iOS system to normal, whenever your iPad, iPhone or iPhone is stuck in Black screen, Apple white logo, or recovery mode etc. Using iMyfone D-Back to retrieve text messages from iCloud is much easy. It can easily and quickly retrieve text messages from iCloud with just few steps as below. On your Mac or Windows PC, ensure that iMyfone D-Back iPhone data recovery is running on your computer. 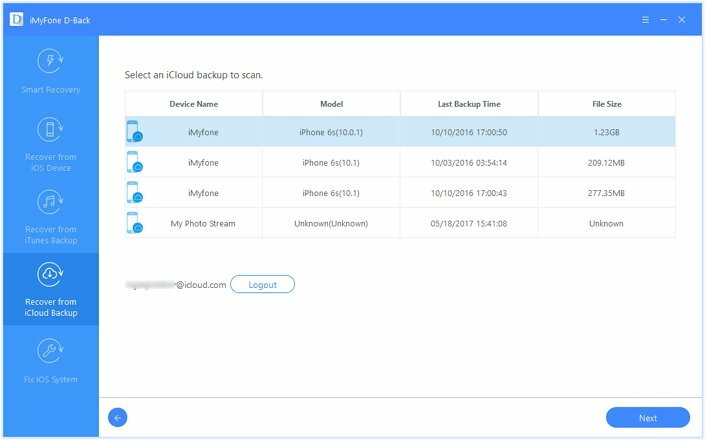 Thereafter, from the program window, choose “Recover from iCloud backup” Pick the files you would want to retrieve then sign in to your iCloud account, use your Apple ID username and password to sign in to iCloud. After you have signed in to iCloud, the program show the available backup files, select the backup file with the text messages you want to retrieve then tap on “ Next “ button. It takes a little while for scanning to be complete. After it is through, you can check through the files found by the program. Preview to find the specific text messages that you need. After you have identified them, mark them then hit on “Recover” button. The files will be saved on your PC and you can open to view them. 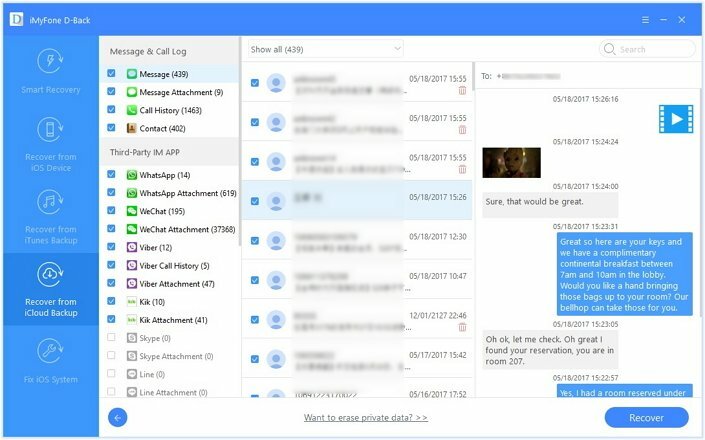 Retrieving text messages in iCloud is a much easier and iMyfone D-Back iCloud data extractor or iMyfone D-Back iCloud data extractor for Mac allows you to retrieve many other file types from iCloud without a device. Download the program to have a try.